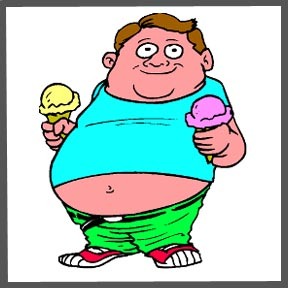 There has been yet another study showing the increased obesity trend in the US among primarily male children. This is simply overwhelming and disconcerting to say the least. It is more important than ever for two things to happen here. First, we as responsible parents must take the initiative to cook and have family meals together. Kid’s love to cook, so be sure to include them… Cooking healthy food that tastes good is not difficult with a little practice. A wide variety of vegetables can be prepared within minutes. Meals should be a communal experience that not only nourish the body, but bring the family together. This is how I remember my childhood… I will be the first to admit that I failed to do this in recent years with the chaos of two children, but finally figured it out and the experience is good for the whole family. We sit down every night at 6:30 pm and commune. Fast food fails to do all of these things… eating fast, unhealthy, and not necessarily together. Secondly, large scale food manufacturers must change their ingredient profiles and thankfully this is starting to occur. This is still no excuse not to sit down and eat a home cooked meal with your family though. No matter the change in ingredients from processed foods, there will always be a component of preservatives which I guarantee you will be unhealthy.